Chris Martin's jacket is a recent acquisition. The Victoria and Albert Museum, London (better known as the V&A) recently acquired Chris Martin’s iconic jacket for display. 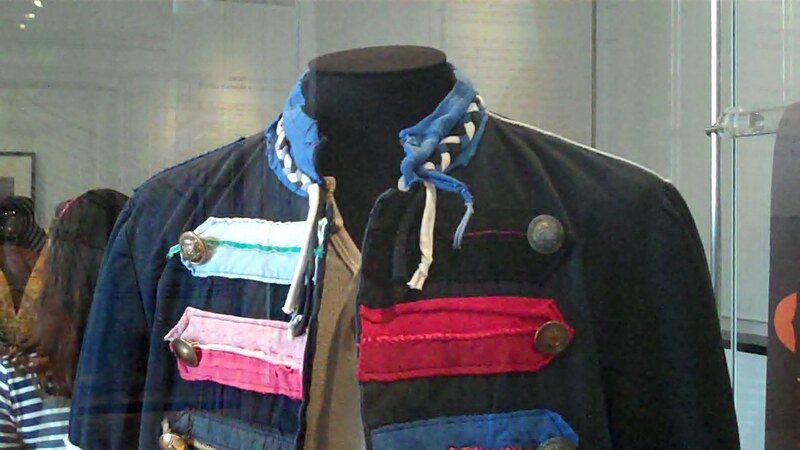 The jacket takes its place alongside Adam Ant’s famous ‘Stand and Deliver’ era tour outfit, which you’ll find upstairs, in the museum’s dedicated theatre and performance space. 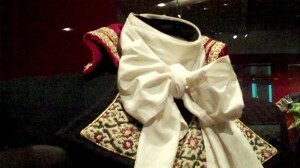 Adam Ant's original Dandy Highwayman shirt. Kylie Minogue’s entire dressing room has been faithfully taken off tour, and recreated alongside other theatre-world exhibits here. Upstairs in the theatre and performance exhibition space, you’ll also find Mick Jagger’s skintight stage garments, and even Brian Eno’s ensemble from Roxy Music. Admission to the Victoria and Albert Museum is always free, and the nearest London Underground train station is South Kensington, two minutes from the entrance. Kylie's presents from fans and friends... and frocks.